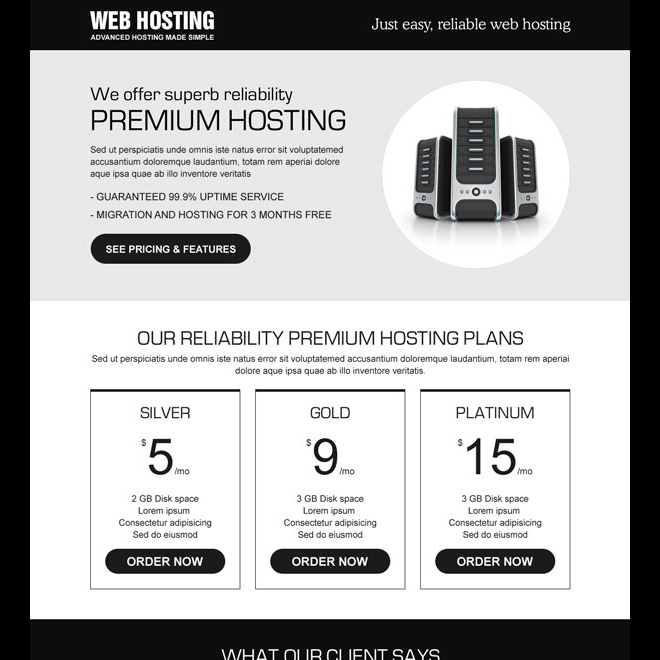 Increase sales of your hosting business by capturing quality leads and promoting your hosting business with our responsive web hosting landing page design templates. Our fully responsive html5 css3 coding will support on all screen size device and resolution. It will help to maximize your business conversion, traffic, leads, sales and revenue. Download responsive web hosting landing page design to convert your hosting business into next level by capture quality leads, increaser traffic, leads, sales and revenue.